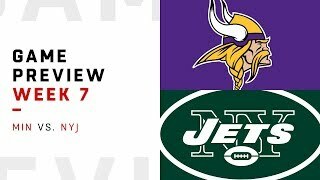 The Vikings-at-Jets game, set for noon (CT) Sunday, is part of single-game coverage by FOX this week. The game is scheduled to air on FOX in all of Minnesota, Iowa, North Dakota, South Dakota and Connecticut, as well as most of Wisconsin, Nebraska, Montana, Illinois, New York and northern New Jersey, plus smaller areas in multiple other states, according to 506sports.com. 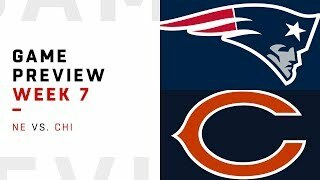 For the second week in a row, the Bears will be facing an AFC East team during the Vikings game. Chicago (3-2) is leading the NFC North and is scheduled to host New England (4-2) in a game that will air on CBS in most of the country. CBS will air Dallas (3-3) at Washington (3-2) in most of the country in the 3:25 p.m. (CT) time slot, but northwest Minnesota and eastern North Dakota are scheduled to receive the NFC West battle between the Los Angeles Rams (6-0) and San Francisco (1-5), according to 506sports.com. New Orleans (4-1) is scheduled to visit Baltimore (4-2) at 3:05 p.m. (CT), for a game on FOX that will be shown mostly in the regions of the respective teams. As a reminder, don’t forget breakfast bonus football stateside courtesy of Tennessee (3-3) “visiting” the Los Angeles Chargers (4-2) in London. That game is scheduled to air at 8:30 a.m. (CT) on CBS. This game features two of the 10 NFC teams with three or more wins through the first six weeks of 2018. Dallas is 0-3 on the road; Washington is 2-1 at home. Dak Prescott rushed for a career-high 82 yards and a touchdown and threw for two scores in a 40-7 win over Jacksonville in Week 6. Prescott has nine career games with at least one passing and one rushing touchdown, which is tied for the fourth-most in NFL history in a player’s first three seasons. Ezekiel Elliott has 361 scrimmage yards and five rushing touchdowns in three career games against Washington. Demarcus Lawrence has 3.0 sacks, a forced fumble and fumble recovery in his past two games against the Redskins. He is one of two players in the NFL with 20 or more sacks since 2017 (Chandler Jones). Alex Smith passed for 263 yards with two scores and an interception against Dallas last November while still with the Chiefs. Adrian Peterson had 97 rushing yards against Carolina in Week 6 and needs 125 yards to pass Tony Dorsett for ninth in NFL history. Ryan Kerrigan has 8.0 sacks in his past 10 home games. He has 3.0 sacks in his past three games against Dallas. New England is riding high, having won three in a row, but is 0-2 on the road this season. Chicago will try to bounce back from an overtime loss at Miami and improve to 3-0 this season at Soldier Field. Tom Brady recorded his 200th regular-season victory in Week 6, giving him 14 more than Brett Favre and Peyton Manning. He has had 340-plus passing yards and a passer rating of 100 or higher in his past two games. Rookie Sony Michel has rushed for 316 yards and four touchdowns in his past three games. Twins Devin and Jason McCourty performed well in each of their most recent games at the Bears, but the outings were separated by seven years. Devin had a forced fumble, tackle for loss and pass defended with the Patriots in 2010. Jason had two tackles for loss and a pass defended for the Browns last season. Mitchell Trubisky is one of three quarterbacks, along with Drew Brees and Kirk Cousins, to complete more than 70 percent of his passes and have a passer rating of 100 or higher in 2018. Tarik Cohen had 121 scrimmage yards (90 receiving and 31 rushing) at Miami in Week 6. Kyle Fuller had seven tackles and two interceptions in Week 6 against the Dolphins. It was his second career game with multiple interceptions. New Orleans is coming off its bye after winning four in a row. Brees is 0-4 as a starter against the Ravens. Baltimore sacked Tennessee QB Marcus Mariota 11 times and allowed him just 10 completions last week. Brees completed a career-best 89.7 percent (26 of 29) of his passes in Week 5 to defeat Washington on a night when he overtook Peyton Manning for the NFL record in career passing yards. Brees has 72,103. He needs one touchdown pass to become the fourth player in NFL history with 500. Alvin Kamara is one of two players in the NFL in 2018 (Saquon Barkley) with at least 350 receiving yards (351) and 250 or more rushing yards (299). Michael Thomas is one of two players in the NFL in 2018 (Adam Thielen) with 45-plus catches, 500-plus receiving and at least three touchdown receptions. Thomas has 46 receptions, 519 yards and three scores through the air. Joe Flacco is 2-0 and has completed 28 of 44 passes for 415 yards and three touchdowns (passer rating of 117.1) in his career against the Saints. Former Saint Willie Snead IV has averaged six receptions and 57 yards in his past three games. Za’Darius Smith had a career-high 3.0 sacks and a forced fumble in Week 6 at Tennessee to earn AFC Defensive Player of the Week honors.